It was a concern: Despite about 1500 teachers retiring each year, membership in our Association declined by 121 members in 2014 and a further 20 in 2015. Some of our branches were struggling to fill executive positions and a few had closed. In response, in the fall of 2016, President Patricia Clough initiated a strategic planning process with the Directors of the BCRTA. An Innovation and Strategic Planning Committee (ISPC) was established and at the 2017 Annual Conference the Board presented our initial vision for the revitalization of our Association. We received valuable comments from the conference and branches were asked to take the information to members for additional feedback. This dialogue was featured on our website. The ISPC has also recently equipped Directors with a detailed presentation that has been used to explain our plan and facilitate feedback at Zone and branch meetings. Equipped with good feedback about our members’ needs, the Board of Directors made careful adjustments to our plans and moved into action. Build strength by increasing membership and adding services to improve the member experience. With our first-year-free campaign as well as BCTF support we have enrolled about 900 new members this year. Previously we usually enrolled less than 500 new members. Members benefit from access to our Membership Advantage partners. Our Membership Committee is working to increase the offerings as well as to ensure best value for our members. We are having success in meeting member needs: for example, 178 members have made appointments with Hearing Life Canada. Our Pensions and Benefits Committee has prepared and delivered workshops to teachers soon to retire. More than 1,000 people participated in these workshops this past year and they were all introduced to the great value of BCRTA membership. Many members join BCRTA to obtain the group insurance benefits available through our partnership with Johnson Insurance. We have been working to promote enrollment and to increase the insurance programs available. Improve clarity and transparency by developing a unified communications strategy. The most important service we provide our retiree membership is to share information that improves their quality of life. To expand and professionalize our publications we developed a Communication Committee made up of three sub-committees, one for each of the main ways we reach members. A communication consultant was hired to advise and help with the technical aspects. Our website has been modernized and security has been enhanced. Future steps include individual member accounts. We have developed the ability to host branch websites at no cost to them, giving them access to secure and easy-to-use templates. Branches can post content themselves or get assistance from our staff. Branches are invited to participate. 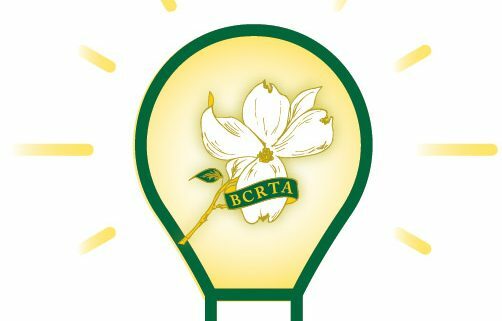 Our renewed newsletter BCRTA Connections has been designed to work on all electronic platforms and is accessed easily through an email sent to all members who have given us their email address. Early feedback has been great, and many thousands of members are reading the articles. We recognize that some members do not have internet access and so will provide printed copies of BCRTA Connections on request. However, it is the on-line format that most engages recent retirees. The PostScript sub-committee has developed an editorial policy and is working to add regular, cornerstone content that appeals to our 15,000+ readers. We are providing articles on well-being which include health, nutrition, exercise and financial advice. We continue to feature the activities and writing of BCRTA members and cover important policy topics. We have always included some advertising in PostScript, and in the past we gave it away for free. We are now charging for that service, and in so doing recovering some of the costs of publication and mailing. However, not all ads and announcements will be paid. Community service ads will be free and, as a benefit of membership, members will always be able to advertise in PostScript Classifieds at no cost. Take hold of Strategic Opportunities including controlling our insurance plans. When researching other successful Retired Teacher Associations in Canada we discovered that their insurance plans offered great value to members while providing revenue to support the activities of the association. They have done this by harnessing economies of scale and moderating the profit margins of the insurance providers. This is an area where we will move carefully. We hired an independent consultant (ZLC Financial) to review our contractual arrangement with Johnson Inc and provide context and advice. For the first time we have negotiated improvements to the Medoc travel plan including coverage for within BC vacations and changing the language about when the 35-day limits begins to the day you leave Canada rather than our province. We have grown our Johnson EHC with Prestige Travel to cover 1,485 lives. This plan has a unique appeal to our members as it covers trips up to 62 days without a 90-day stability clause. The plan works best for those who travel a good deal. In September we will introduce a very economical new top-up Trip Cancellation policy that adds $12,000 of coverage to existing Trip Cancellation policies. We will soon introduce a new EHC-only policy as an alternative to the Green Shield Canada policy for members who don’t travel. Please note that all our current plans are fully insured plans – the insurance underwriter takes the risk and makes their profit doing that. We are carefully considering changing that model for some of our products where the risk is very limited. Some offerings like house insurance are not candidates for any change; the risks are too great for a small group like ours. The culture of the BCRTA is defined by member participation and leadership. The Board revisited our committee structures to ensure they efficiently meet the needs of our membership. We have added a 3-term limit to the position of Board Director to ensure renewal. We have combined some committees where responsibilities overlapped. The Pensions and Benefits Committee has been combined with the Retirement Workshop Committee. The new Well-being Committee now covers the work of the previous Health and Housing and the Social Concerns Committees. Members now need only serve on one committee – a step taken to encourage greater membership participation. We have a more flexible committee meeting schedule to reflect the different needs of committees at different times. To this point, much of the day-to-day work of the Association has been carried by volunteers. That is both a huge blessing for our members and a curse. We bring skills and enthusiasm to our roles but there is a limit to involvement because we want to enjoy the benefits of our retirement! And there are skills required that we do not have. Members expect that organizations such as ours will provide a high standard of communications and quality business practices. To achieve this, the Board of Directors determined that hiring a part-time Executive Director would enable us to achieve the professional standard we have set for our Association. Remember, to this point BCRTA had only two people on staff to serve our 16,000 members. This is in sharp contrast to the Alberta Retired Teachers’ Association, who with only 4,000 more members has twelve people providing service to their membership. Five of the RTAs across Canada have an Executive Director. It was time. The Board hired Tim Anderson as a Communication Consultant on three separate contracts over the past year for specific projects beginning with the development of our new web site. His responsibilities have increased with each contract and he has consistently performed above our expectations. Tim has supervised staff in his prior experience as a corporate manager. For many years Tim has provided communications and marketing services for leading non-profit organizations in BC including the Ministry of Health and Ministry of Education. One of Tim’s contracts was to produce the BC Seniors’ Guide which you have likely used. The Personnel Committee developed a job description for the position of Executive Director (ED) following the advice and model of other teacher and retiree organizations. The job description clearly defines the role of the ED as serving our membership under the control and direction of the Board of Directors. On May 23, the Board of Directors approved the Personnel Committee’s hiring of Tim Anderson as a 4-day per week Executive Director. While hiring an ED, or any other additional staff, will have long term implications for office space and budget, we do not believe this will require an increase in membership dues. Our growth in membership and revenue from advertisements, affinity partners and our insurance plans are expected to cover the added costs. For comparison, membership dues in the Alberta Retired Teachers Association are only $25 per year and they have 12 people on staff with an annual budget of $2.5 million. From the foregoing I hope you can clearly see that we have aimed for a measured and disciplined approach toward the growth and revitalization of our Association. The changes we have made have already produced positive results. Net membership grew by 2.1% this past year, reversing the negative trend. Our publications are better than ever. Branches are beginning to take steps to revitalize themselves by collaborating with neighbouring branches. There is excitement around the Board and Committee tables as we see our improvements taking shape. Of course, change can be difficult as we leave our old comfortable ways to try something new. But there is a more vibrant, influential and valuable Association in our future if we wisely take hold of the right opportunities and build together. The Innovation and Strategic Planning Committee is a committee of the Board. It brings recommendations to the Board which has the responsibility to make decisions on behalf of the whole membership. The ISPC Committee members are Patricia Clough, Bob Taverner, Grace Wilson, Stefan Cieslik, Steve Bailey, Arnie Lambert and Gerry Tiede. The Board has developed a Strategic Plan to promote the desired growth and revitalization of the Association in the next 3 years. The plan was introduced to members at our Annual Conference and AGM in September 2017. The document provides some context and then goes on to identify five major goals. Following the introduction at the conference, members met in their zone groupings and were encouraged to provide feedback on the general direction of the strategic plan as well as provide specific suggestions or concerns about the plans. This posting is your opportunity to add you feedback to the process. The Board will be meeting late in November, so any feedback received by Nov. 20th will be included in the Board package. But, as this is a long-term process we welcome feedback at any time. A blank feed-back form that you can use, if you wish, to respond.